I believe 2050 and beyond will become increasingly dismal without some radical breakthroughs both socially and technologically. So you think we're just barely more advanced than we were in 1978, I mean that was just 36 years ago? No, that is not what I meant. If you consider the thinking in 1978 most prognosticators were envisioning a utopian world society with flying cars, real sentient robots, no serious illnesses, space travel as an everyday event to very far-flung areas of space......etc.,etc. All to be reality by the 21st century. Wait, that's now!!!! Yes we are exponentially more advanced than in 1978, but nowhere near what was believed to be possible back then. I don't think economic globalization creates peace. Look at the merging of major companies and its effects on displaced workers. People are starving. The more people starve, the more violence there is. The middle class is depleting with globalization, and there is a wider gap between the richest rich and the poorest poor. We can't deny that as a fact. With technology advancing at a rapid pace, and robots taking over human jobs, there is a scarcity of demand for people in the workforce. More physical labor will be required in terms of extracting natural resources and maintaining the aging population (not just Baby Boomers but the future Millennia generation as well) by humans, but the jobs won't pay as well when people have to compete with robots for their jobs. I think in 36 years, if we don't take care of our planet today and we completely deny the facts, yes, the earth will be depleted and we've completely effed up the world so bad that the mission the Mars is the only hope. They're already signing up to send 8,000 people to live on Mars in 8 years. This is an initiative by a Swiss (?) corporation as a one-way ticket for the population of trained astronauts to build the basic infrastructure for a new society. In other words, there is already a plan in effect to build a planned privatized society without government laws or rules to protect people, and now people are at the mercy of a giant multiconglomerate, which isn't any different from the corporate oligarchy some people live in now. I see though most of that has to do with lack of funding in research for many areas especially in space programs and regenerative medicine. For most of the 2000s it was illegal for most stem cell research; fortunately things are becoming less restrictive in that area. There will probably be 9 billion people on this planet by 2050. And oil probably would have run out by then. We would need to find another source of fuel on this planet in order to power our civilization by then. I don't think oil is going to run out in the next 36 years. It will be getting harder to find, but cheaper to extract, due to its rarity. There are still a lot of places we haven't looked for oil yet, and also a lot of existing known reservoirs that aren't worth the cost of drilling, but will be when currently-producing wells begin to run low. And don't think for even a second that the O&G companies haven't developed strategies and alternatives for the day oil does run out. Those companies are in the business of being rich, and they aren't just going to fold up and die. Oil and gas might not run out but it will not matter because solar and wind will be cheaper. A lot cheaper. That was a ok movie but just a movie. There are so many inconsistencies that it will never mirror real life. The future timeline web sites talks about that.It tells you year by year what is to come out. 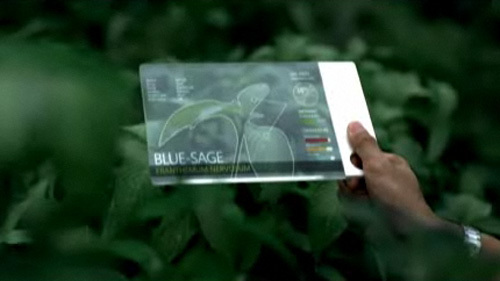 They say in year or two electronic paper ,electronic newspaper.Also very thin flexible tablet computers a paper-thin flexible tablet computer ,paper-thin flexible roll up map.